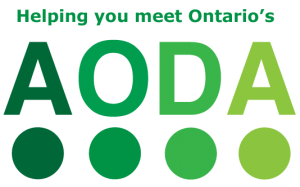 Find out how SNOW helps you meet and exceed the AODA. SNOW is a branch of the Inclusive Design Research Centre at OCAD University that focuses on technologies for learning and promotes understanding of inclusive learning practices. Find out how to get the most out of SNOW on the About page. For over 20 years SNOW: Inclusive Learning and Education (originally Special Needs Opportunity Window) has provided community outreach through open resources including current information about assistive and accessible technologies, inclusive learning strategies and workshops for educators, students, parents and guardians about differences in the classroom, accessibility, and learning with technology. SNOW was funded by the Ontario Ministry of Education with EP-O funding through the Provincial and Demonstration Schools Branch until December 2018 when the current provincial government terminated SNOW’s outreach programming funding. As of Jan 2019, IDRC started transitioning the resources and activities of SNOW to the Floe Project which is funded by the Hewlett Foundation.